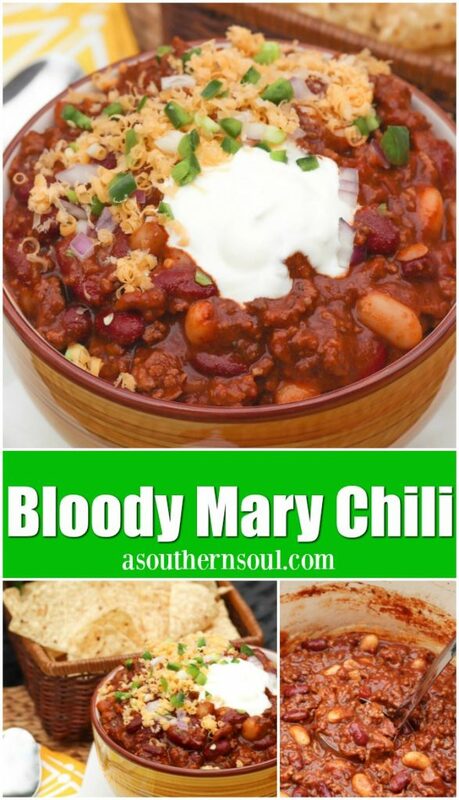 If you’re a Bloody Mary fan, then you’re going to LOVE this chili! 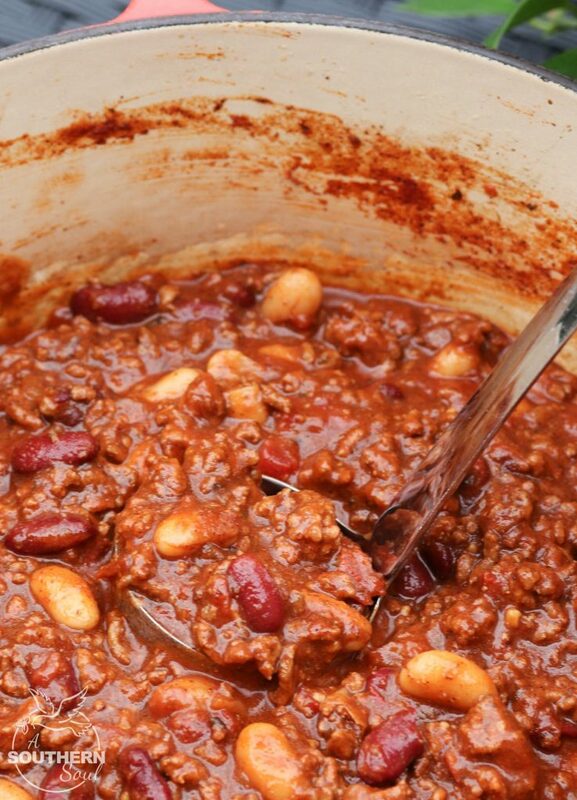 I’ve taken all the bold flavors of that popular drink and turned them into a thick, rich chili. It’s a hearty bowl of goodness that will have you begging for seconds. 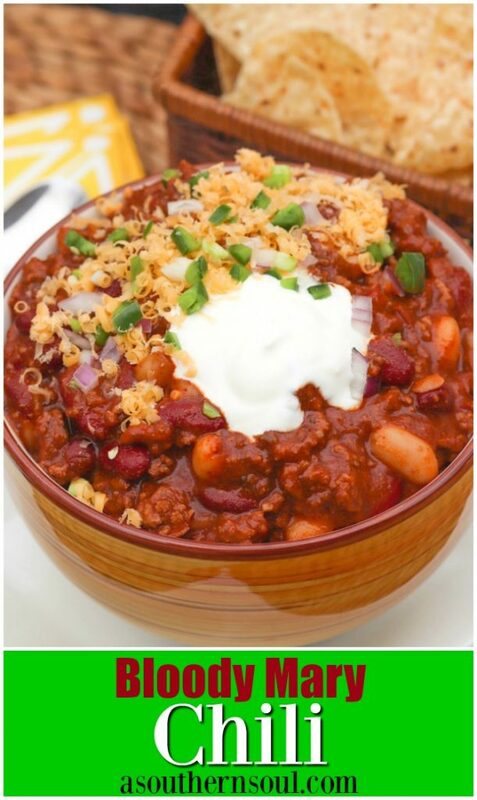 There’s something so comforting about a bowl of chili! It’s great served up on cold winter evenings when you just want to warm up and feel cozy. 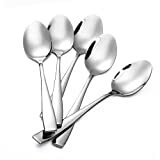 It’s also a great to serve when you’re having a party or feeding a crowd. 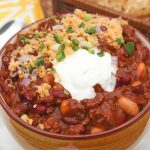 Most every chili recipe that I know of is easy to make, has inexpensive ingredients and also freezes well which makes it great for meal planning. This winter, I’ve been on the hunt for a new chili recipe. I needed some inspiration so I hit up one of my favorite resources – Pinterest. There’s hundreds of thousands of “Pins” shared there so I knew I’d find something that would peak my curiosity and sure enough, I did. After a bit of brainstorming, I decided my new chili recipe would be based on all the flavors of a classic Bloody Mary cocktail. 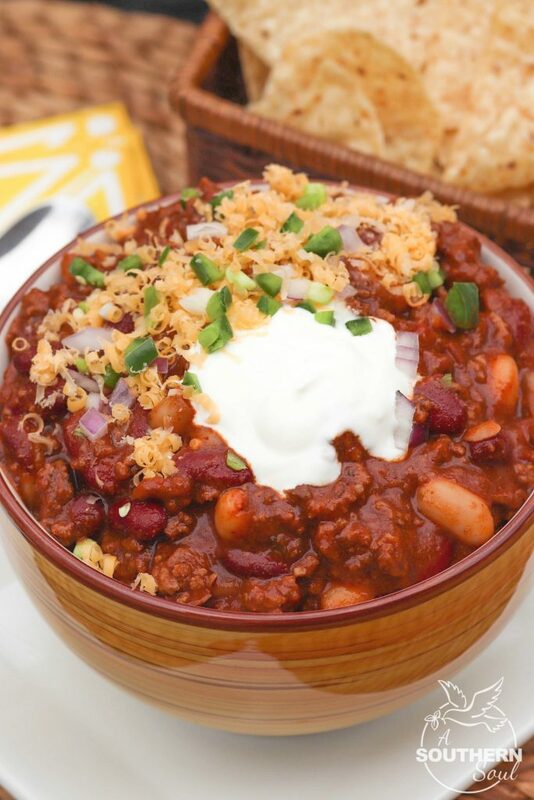 I got started by using a few of the traditional ingredients I use in my award winning chili like ground beef, onions, garlic and chili powder. The fun part came in when I added in “Zing Zang” Bloody Mary mix. After tossing in two different kinds of beans and getting the seasoning just right, I knew I had a hit on my hands! 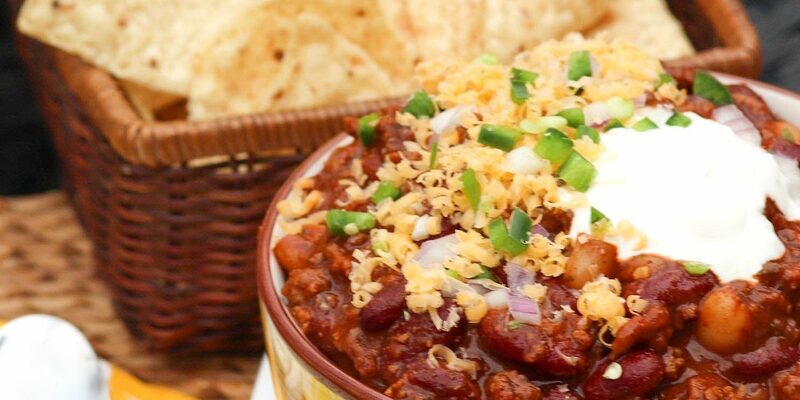 If you’ve been searching for a new chili recipe, this one is it! It’s full of meat and bold flavor, yet is not spicy. Of course, you can make it that way by adding hot sauce and jalapenos. 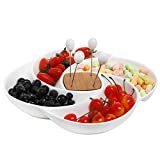 Like any good Bloody Mary or chili recipe for that matter, you’ve got to have some “extras” to make the dish your own. Sour cream, chopped onion or scallions are outstanding toppings to add. You also might consider adding tortilla chips or cornbread to round out the meal. 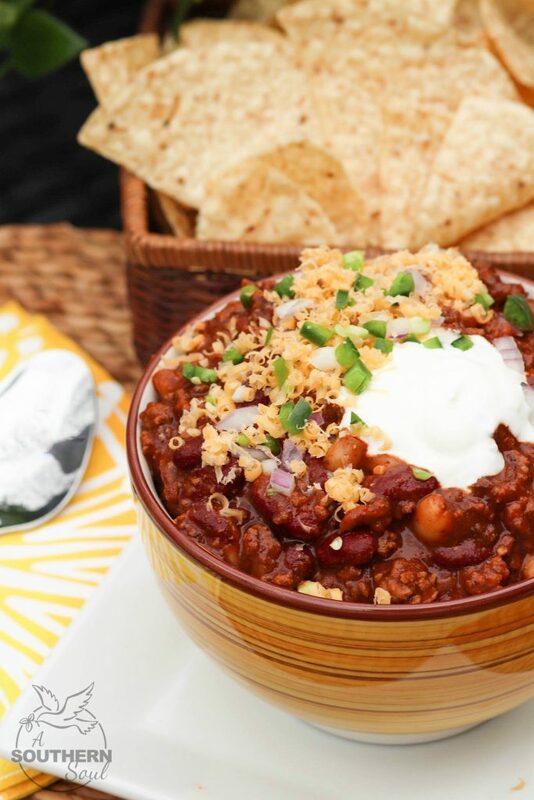 This is one big bowl of crazy, good chili that you’ll be making time and time again…I’m sure of it! In a dutch oven, cook onion until translucent. Add ground beef and cook until done. Drain off grease. Add tomato paste, garlic, chili powder, celery salt, salt, pepper and cumin. Cook for 1 minute. Add Bloody Mary Mix and stir all ingredients together. Add in sugar, Worcestershire sauce, tomatoes and beans. Bring chili up to a boil then reduce to simmer. Place lid, slightly offset on pot and simmer for 30 minutes. 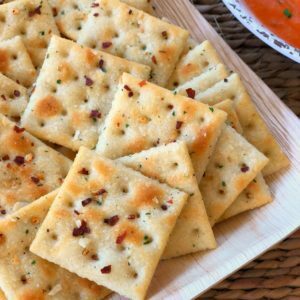 Serve with your favorite toppings like sour cream, hot sauce, jalapenos, chopped onion or scallion. Cook ground beef and onion in a skillet then place in bottom of slow cooker. Add remaining ingredients and stir. Place lid on cooker. 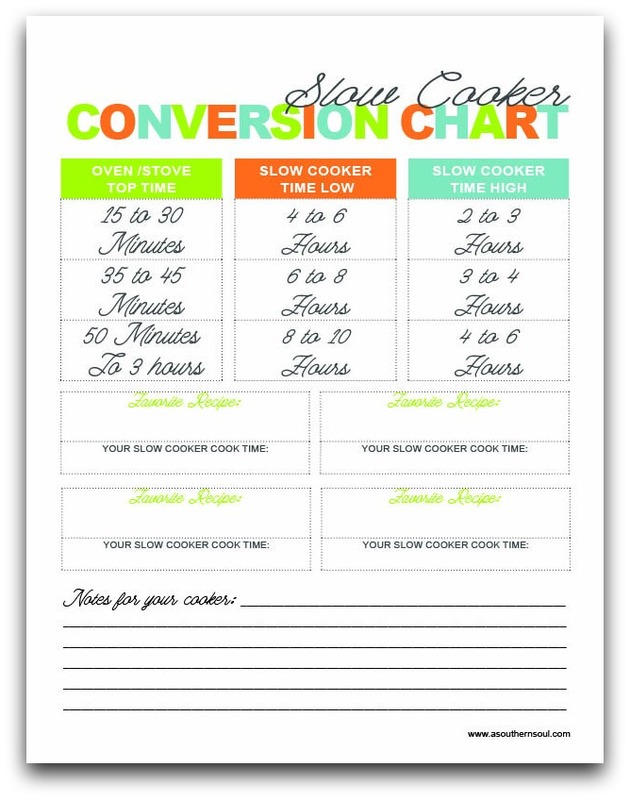 Turn your stove top or oven baked dishes into slow cooker successes with the downloadable Conversation Chart! You show in your recipe crushed tomatoes drained and rinsed. Is that really what you meant to put? Oops! Thanks Syndi. 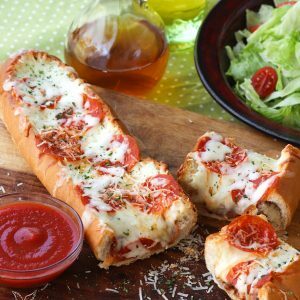 The recipe is updated and I hope you’ll give it a try. This HAS to be a typo: crushed tomatoes DRAINED and RINSED ????? I’ve been cooking for decades and have never heard of that! Deb – thanks to the catch! Typo, YES. The recipe is updated. This is definitely a must-try! Looks so comforting!